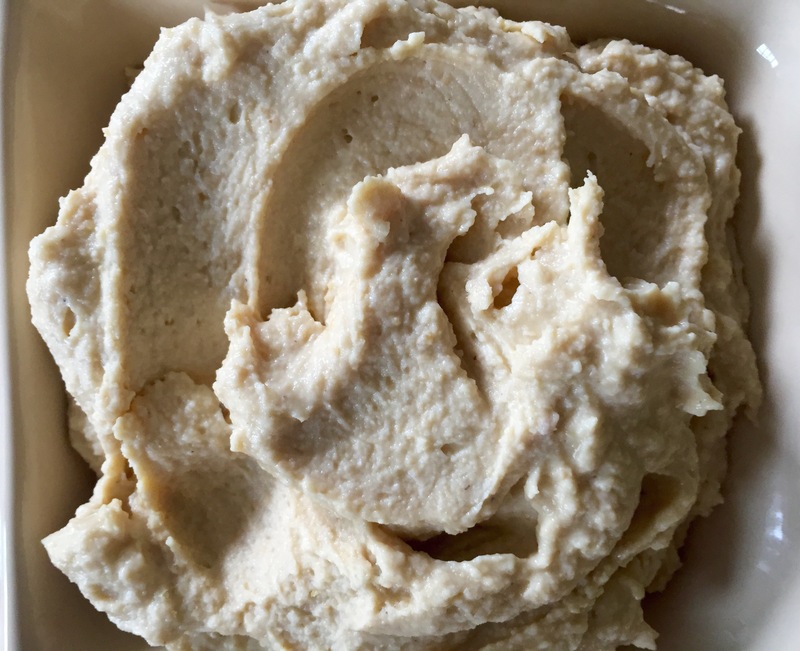 Hummus is one of those ancient foods that existed long before hitee pulsed Cuisine Art food processors or refrigerated our tahini. I remember reading in Najla Said’s memoir, Looking for Palestine, that before the chickpea dip reached mainstream grocery popularity, she grew up packing hummus in her lunch. Other kids at her NYC private school would make fun of her. Nothing new here, though. Ewwwww, younger versions of ourselves likely liked to screech in the cafeteria when anyone unwrapped a dish unlike ham sandwiches or pizza. Let’s be real. That probably happened once or eighteen times between the first and fifth grades. Then, between the 80s health kick and now, hummus became mainstream. Beet hummus is all the rage. (It’s such a pretty color!) Sabra dominates the market with enormous tubs in creative, pine-nut-toasted flavors. Sabra brand ambassadors used to park their red truck outside of my freshman-year dorm and hand out free travel-sized hummuses. I’d walk by a second time with an empty backpack and stock up. The other day, I was talking to a lady while she was selecting cucumbers for her CSA bag. “I eat so many cucumbers!!! !” she was telling me, piling them up. Then she drops her voice to a whisper. “I dip them in hummus. I can eat like a whole container in a week.” Recalling my Sabra-filled backpack days, this seemed less than extreme. Did she think hummus was unhealthy? “There are so many calories,” she sighs. You’d have thought we were talking about cream-cheese and Nutella brownies. Dude, back up. Essentially, hummus is ground-up garbanzo beans. Beans have calories: protein and fat (no matter how you blend them up). And the national diabetes epidemic certainly doesn’t trace back to cucumbers and hummus. Even after Sabra’s recall last year, it still took me a while to notice… what’s the deal with the ingredients list on store-bought hummus? Canola oil, really? I’m all for vegetable oil in my baked goods or waffles. But I’m less than tempted to dip a chip in it. If you make your hummus at home, you can revert to the original supporting ingredient: olive oil. Let’s keep things simple, yes? Roast some garlic, sauté some chickpeas, and invite these natural flavors to burst out of their shells. Then shovel some garlicky dip in your mouth, find a lover, and go make out. First, we roast the garlic. Preheat your oven to 400 degrees. Slice off about a 1/4-inch of the top of the garlic bulb, exposing the cloves. 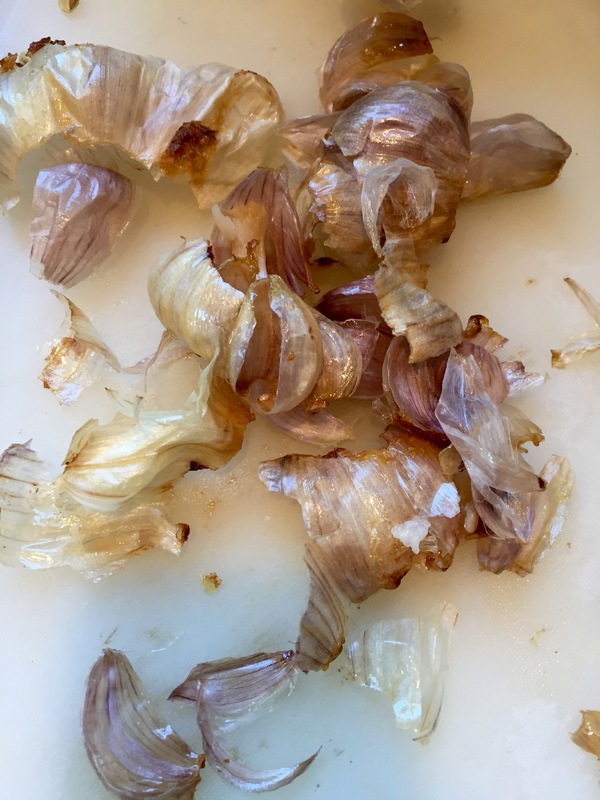 Use a pairing knife to slice around the roots of the garlic, twist, and pull to remove the tough center stem (or just leave it be if it’s a Monday, or if you’re just not feeling the extra effort. I gave up on one, too). Wrap each garlic in a little bundle of foil, tops still exposed. Place the cute little babes on a sheet pan, and drizzle each head with 1 tsp of olive oil. Roast for 35 minutes, until they’re sizzling and golden-brown. By now, your kitchen smells DELISH. Set the garlic aside so it can chill out. Here’s a trick to make your hummus as smooth as can be: While the garlic’s roasting (or after, we’re in no rush here), sauté those chickpeas. In a skillet over medium heat, add 1/2 tsp baking soda for each cup of chickpeas. Give the beans and soda a toss, and sauté for 3-5 minutes until the outer skins start to slip off. Separate as many skins as you feel like, and give those naked beans another rinse under cool water. Get mixing: To a food processor, add the chick peas, lemon juice, tahini, salt, and cumin. Pulse for 2-3 minutes, or until it forms a paste Then add the olive oil, and give it another whirl. 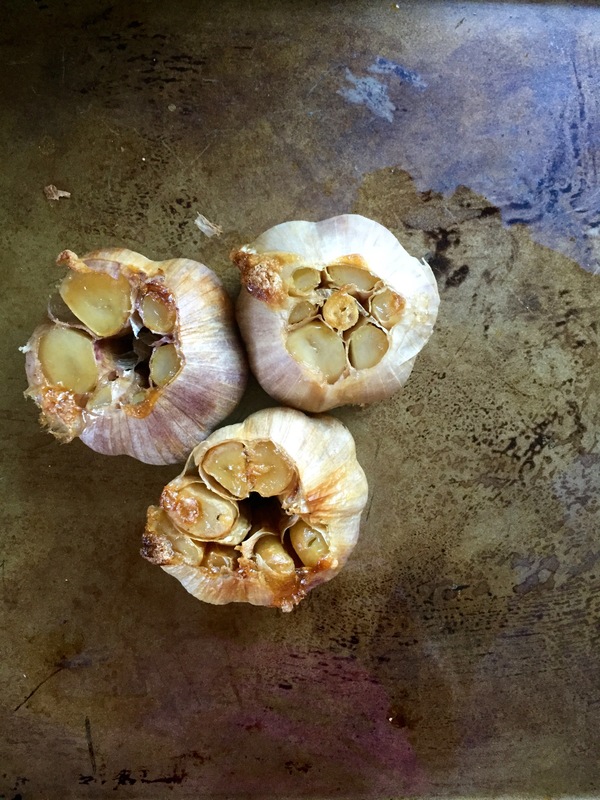 Add the cloves from the 3 heads of garlic and pulse for another minute. Spread the hummus into a dish and make a few swirls for good measure. I don’t add any extra olive oil or garnishes to this simple dip–it doesn’t need it. Let that garlic and lemon shine through, serve with farm-fresh cherry tomatoes for dipping (Sun Golds are the best), and try to save room for dinner.